Our new 5-Year Snapshot Journals are the ideal way to capture all those “capsule moments” in your life. Take a snapshot of an important period or simply track your everyday experiences by filling in quick notes about your day. Using symbols, such as happy and sad faces or suns and clouds, can add even more information in minimal space and without demanding a lot of your time. 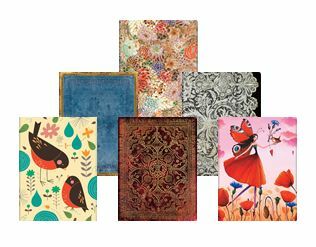 After all – life is about living, and these journals will be there to help you stay in the moment while building memories for the future. And to help you get even more out of your 5-Year Snapshot Journal we have a variety of downloadable booklets, plans and cheat sheets.